The smaller of the two is a pothos, I have no idea what the other plant is (if you know, please tell me ). 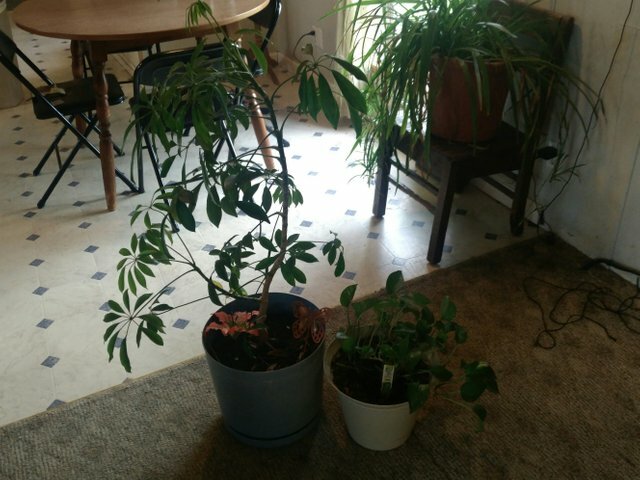 I received a call from an aquaintance that she was planning to donate 2 houseplants because they didn't bring her happiness anymore, unless I wanted them. Of course I wanted them ❤! I went and picked them up about a week ago. 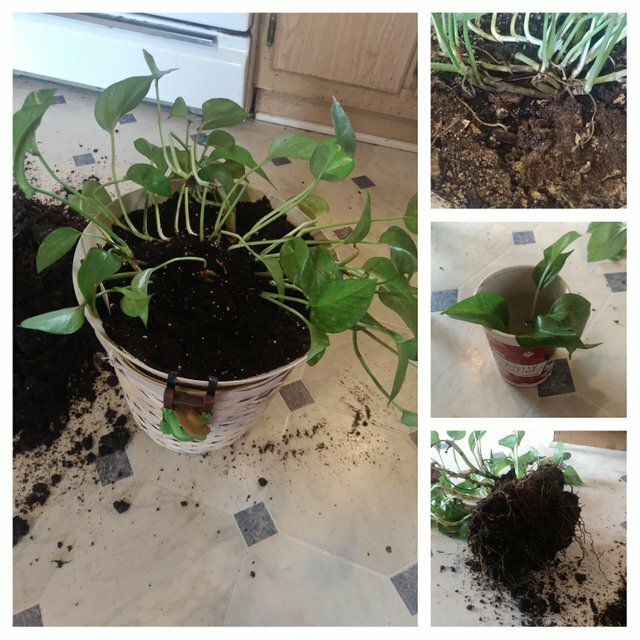 The pothos came to me in old black dirt, and had been recently trimmed short, despite being relocated, rootbound and butchered....it is actually super healthy. Pictured above you can see that I put it in new dirt and took some cuttings to propogate. Houseplants make great gifts, maybe I will take some more cuttings and give some away for Christmas. 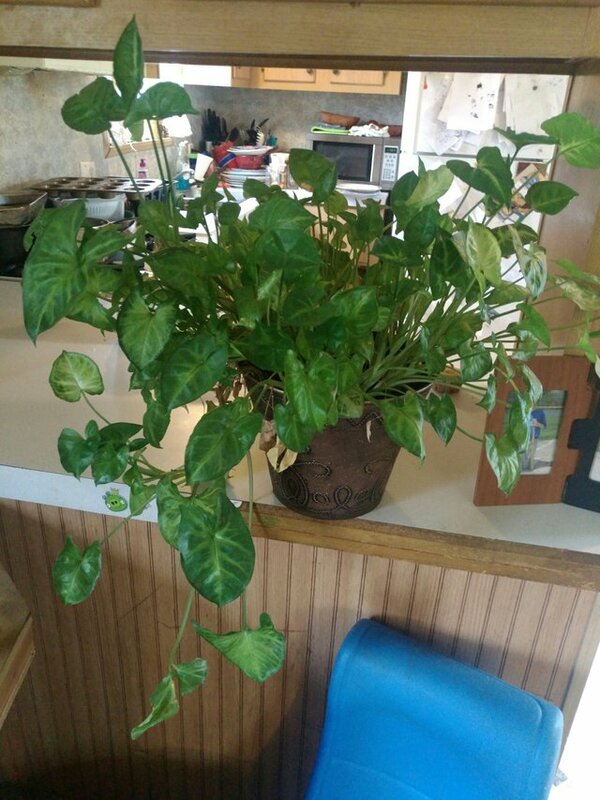 Pothos are super forgiving plants, they don't require direct sunlight , they do not require a green thumb, they can go quite a long time without water , and they grow quite quickly .